Our Representative Welcomes You As You Arrive At Delhi International Airport Of This Incredible India. It Is Our Responsibility To Take You To The Best Hotel Where You Will Be Heartily Welcomed. You Will Be Taken For Sightseeing By Combining The Heritage Of Old Delhi As Well As New Delhi In The Noon Of Very First Day Which Include India Gate (War Memorial), President'S House, Parliament House, Qutub Minar, Rajghat, Shanti Vana (The Cremation Sites Of Jawahar Lal Nehru And Mahatma Gandhi) Secretariat Building, Chandni Chowk, Red Fort And Jama Masjid And Then Back To Hotel For Overnight Stay. Right After Breakfast, Leave For Mandawa, Check In At A Luxury Hotel. After Sightseeing Haweli And Colorful Bazaars In The Tour, Back To Hotel For Overnight Stay. After Morning Meal, Proceed To Bikaner, Check-In At The Hotel, A Nice Hotel Where, Lavish Lunch Will Be Served To You. In Evening, Visit To The Fort And The Palace Of Bikaner, Surrounded By A High Embattlement Wall. Stay Overnight At The Hotel. Proceed To The Antique Desert Town Of Jaisalmer, After Breakfast, Check-In At Nice Hotel. Move To Visit Sam Sand Dune That Is A Cultural Extravaganza Of Rajasthan. Overnight Stay At Hotel. After Breakfast, Continue To Visit Amazing Place Of Jaisalmer Covering Famous Places Like The Sonar Quila Or The Golden Fort, Salim Singh Ki Haveli, Patwon Ki Haveli, And Such Other Beautiful Havelis. Stay Overnight At Hotel. Proceed To Jodhpur The Next Morning, The Southern Edge Of Thar Desert. Jodhpur Was Founded By Rao Jodha In 1459 Ad. Visit Mehran Garh Fort, Founded In 15Th Century, Along With Graceful Marble Cenotaph Of Maharaja Jaswant Singh Ii, Built By Jaswant Tada In 1899 A.D Which Is Popularly Known As The Taj Mahal Of Marwah. Stay Overnight At Jodhpur. After Morning Meal, Leave For Udaipur, To Visit Temples Of Ranakpur, The Most Important And Beautiful Jain Temples Of India. Late Visit To The Lake City Of Udaipur. Overnight Stay At Hotel. In The Morning, Proceed To Visit City Palace Including Pichoola Lake And Other Sightseeing Places Like Jagdish Temple. Spend The Full Day On Your Own. Overnight Stay At Hotel. After Breakfast, Depart To Chittorgarh. A Tour To This City Covers The Rana Kumbha's Palace And Tower Of Victory Then Back To Udaipur And Stay At Hotel For Overnight. After Breakfast, Excursion To Jaipur; Check In At Luxury Hotel. The Tour To This City Includes Covering Museum, City Palace (Take A Glance Of The Largest Silver Run In The World) And Other Observatory, Then Overnight Stay At Hotel. Leave For Amber Fort Immediately After Breakfast. 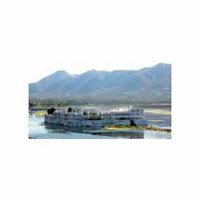 While Visiting To Its Magnificent Palace And Halls, Enjoy Incomparable Elephant Ride. Visit Jaigarh Fort And Get An Opportunity To See Largest Cannon On The Wheel, Jaiban. Overnight Stay At Hotel. After Breakfast, Depart Back To Delhi To Move Ahead And To Explore Incredible India More By Leaving Mesmerizing Memory Behind In Your Mind.